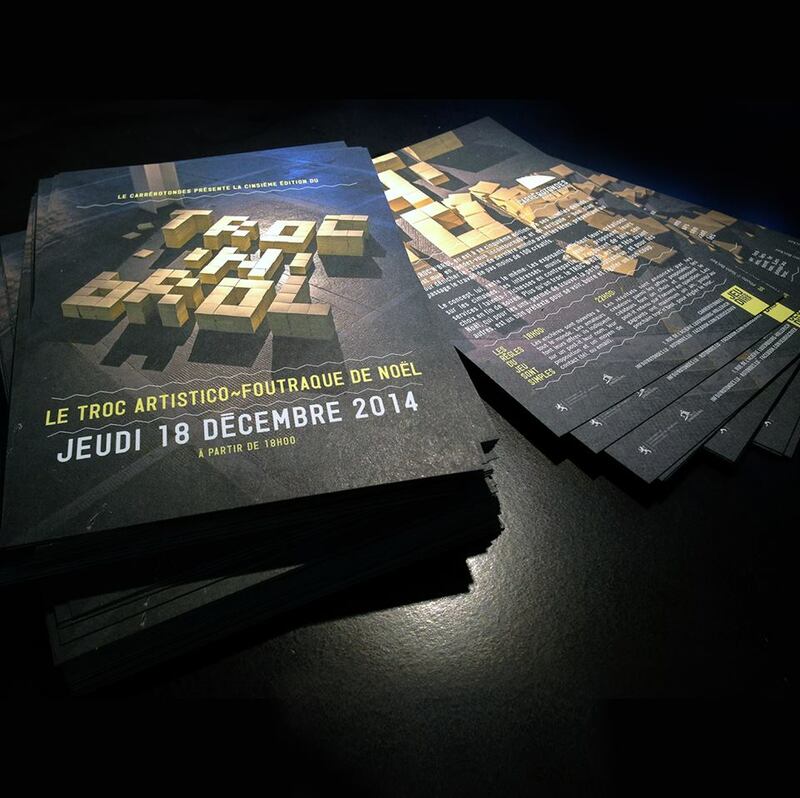 I am this year again invited to the awesomely strange and fun exhibition/auction called “Troc’N’Brol”. I don’t know if this kind of thing is internationally known, so I’ll try to explain: It’s an exhibition where the guests can bid on a work they like with whatever comes to their heads by writing this on a Post-It and putting that one near the work they like. This can be done from 18:00 to 22:00, hereafter the artists choose one or none of the proposals and the work then changes proprietary. The new proprietary then has one year to fulfill his bid. So if you’re in Luxembourg on the 18th of December, check out this event at the “Carré-Rotondes” in Hollerich/Luxembourg.